It is no secret that attempting to understand the differences between men and women, especially during modern dating rituals, can be a complex and frustrating process. But when a man is able to overcome stereotypes and identify the right female companion, he has the potential to forge a loving relationship that can bring years of happiness, fun, romance, and deep-seeded friendship. 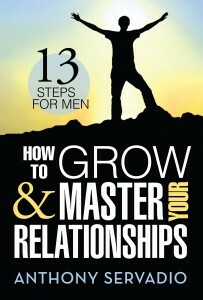 How to Grow and Master Your Relationships: Thirteen Steps for Men is a practical guide that offers advice, tips, and empowerment strategies that will help men successfully navigate the evolving world of dating and find the woman of their dreams.